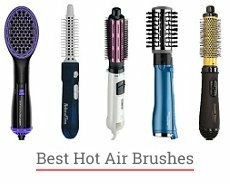 Questions › Category: Hot air brushes › Are hot air brushes bad for your hair? I’ve heard that they’re quite safe to use but I have second thoughts. Since it’s a kind of a tool that blows hot air on your locks, is it that safe? I know that hairdryers are not so good for hair health, and the technique looks the same for me. Of course, any styling tool may damage your hair if not applied properly. But if you’re using a hair dryer brush (or any other straightening tool) according to the instructions, there’s no need to worry. Be sure that you select the right temperature for your hair type and always use some kind of a heat protectant before styling (a spray, oil, etc.). Also, try not to over-use the brush. Otherwise, you may get split ends, burned or dull hair. I don’t think that using a hot air brush every day is a good idea, but you definitely can style your locks with it 2-3 times a week. Be sure that you select the right temperature for your hair type and always use some kind of a heat protectant before styling (a spray, oil, etc.). Also, try not to over-use the brush. Otherwise, you may get split ends, burned or dull hair. I don’t think that using a hot air brush every day is a good idea, but you definitely can style your locks with it 2-3 times a week. Hot air brushes are considered to be safer than curling tongs because they don’t hold hair between heated plates but style it by blowing hot air. Also, a surface of such brush is usually coated in ceramic, and this material not only is safe for hair but also make it smooth and silky. To achieve a better look, I recommend you to choose a good moisturizing shampoo and use argan oil or hair wax after styling. Some new technologies that hot air brushes use could make your hair healthier as well. For example, an ionizing function is a great achievement of modern manufacturers. Ionic brushes lock in moisture so hair doesn’t get dehydrated after styling. 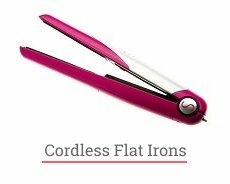 Such appliance gives you silky and smooth hair which looks like you want it to be. Girls with fine, brittle or colored hair can also use a hot air brush without worrying about damaging their locks. So, as long as you’re using it properly, there is no risk of damaging your hair.